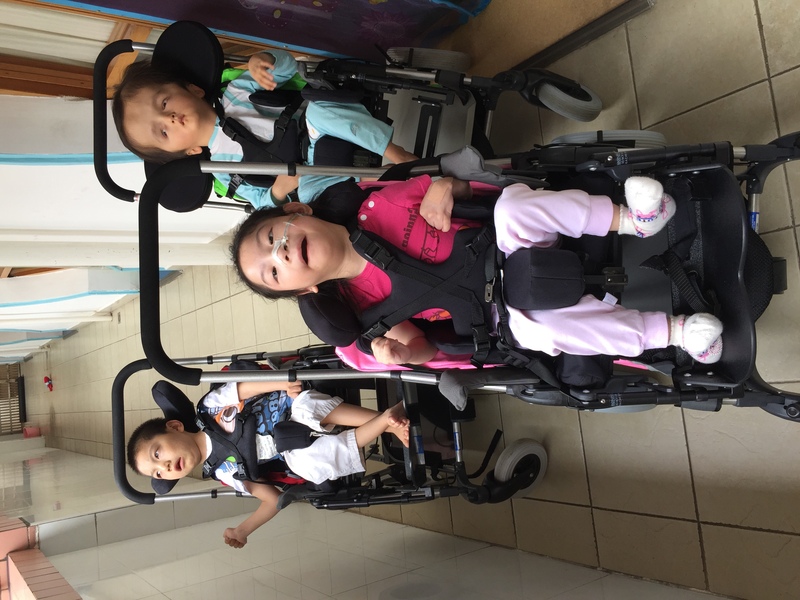 Reuben is the latest Butterfly to get his very own set of wheels, as a result of a generous donation from some Chinese supporters. We are very thankful for this local support we receive to help improve the lives of our Butterflies. Reubens’ new blue wheels will be life-changing for him. He can now get outside and explore his surroundings, in a comfortable way. This chair will improve so many aspects of his day to day life; his posture, meal times, mobility and most importantly – play time! We have not seen Reuben smile and laugh so much ever before. As soon as he gets into his chair, his eyes light up. 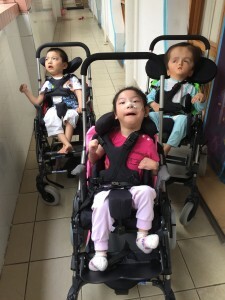 The Ayi’s are delighted that Reuben can now join Karis, Noah and Edmund on their outdoor adventures in their customised chairs. To find out ways that you can support the children, contact us at info@butterflyhospice.org or reach out to us through social media.